To comply with the increasing demand for an outside access facility, the OMEC push bar mechanism is designed to accommodate a handsome external operated lever & 5 pin cylinder. 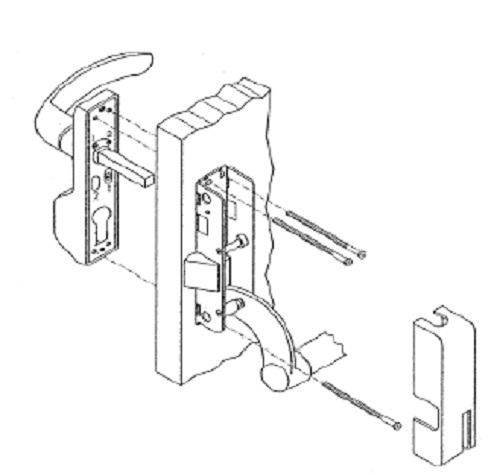 An 8mm square spindle projecting 74mm from the back of the fitting locates into the latch follower situated in the push bar latch mechanism. 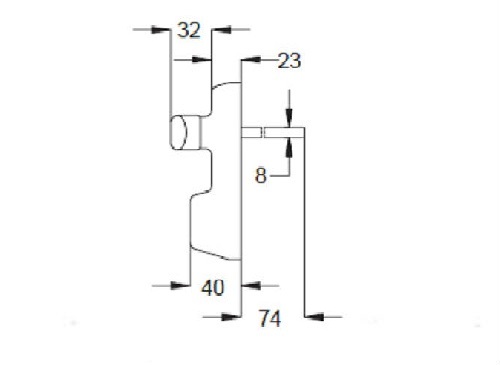 The generous spindle length can be cut down for door thickness less than 76mm. Maximum & minimum door thickness are 85mm & 40mm respectively. 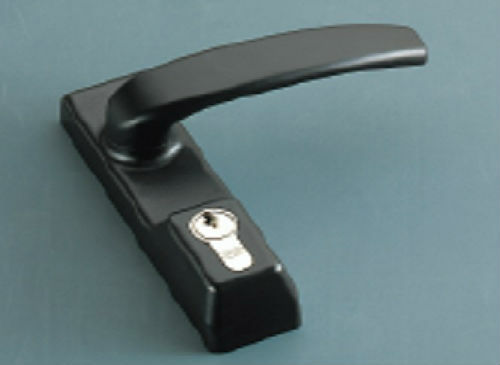 Cylinders can be supplied keyed alike or suited to special order. 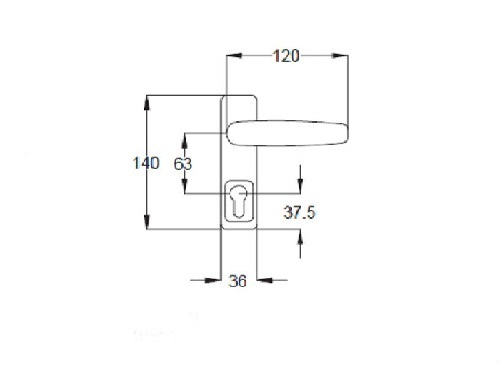 Alternatively - If the outside lever is inappropriate or not required, simply remove the factory fitted cast follower in the centre latch casing and select the recommended cylinder length dependant upon door thickness.